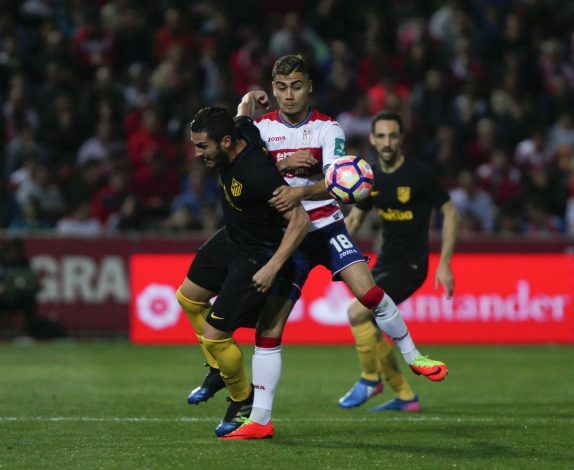 Andreas Pereira could be the solution to the club’s midfield injury crisis. The Brazilian left for Spanish giants Valencia on loan right after his return from relegated side Granada, due to the belief that his odds of breaking into the Red Devils’ first-team were low. The Portuguese has since hinted at his dissatisfaction at the youngster’s departure, but also revealed that they have an option to call him back in January. However, the talented midfielder has now revealed that it would be ‘difficult’ for him to return to Manchester at this point in the season, despite the call-back clause in his loan deal. The talented midfielder has already made 7 appearances for Los Che, and is admittedly content with life in Spain. On the other hand, the Mancunian giants face an injury crisis, with star players Paul Pogba, Michael Carrick and Marouane Fellaini out for quite some time. Mourinho might be upset about Pereira’s departure, but calling him back at this point would be ideal for his team, which currently lacks integrity in midfield. Meanwhile, Ander Herrera and the ever-so-reliable Nemanja Matic have stepped up to fill the gaps in the middle of the park. Though a return to his boyhood club is still up in the air, the 22-year-old, who wishes to stay at Valencia until the end of the campaign, may just end up staying put at the Mestalla Stadium.